It’s time for my solo post at ABNH for this month and we have collaborations with two awesome companies. Faber Castell Design Memory Craft and Finding Nana. And of course there are some Hero Arts stamps invloved as usual. Lets get to it! For my first card I used water color pencils in yellow and pink on some water color paper to make a pretty background. I then stamped the typewriter on top of the colored paper. Then I colored the typewriter with Copics, since the Copics won’t react with watercolor and the colors was so light it worked without problems. The typewriter is small and i made sure to be careful not to damage the tip of the marker on the rough paper. 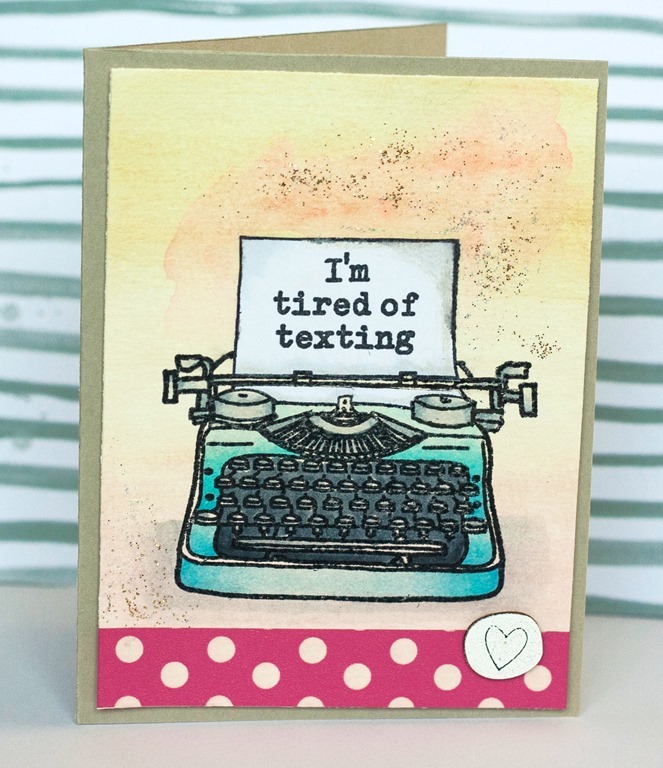 I stamped the typewiter again on regular printing paper and also the sentiment and cut out just the sheet of paper and adhered on top of the watercolored piece. I like the combination of Watercolors and Copics. And the washi is so cute! 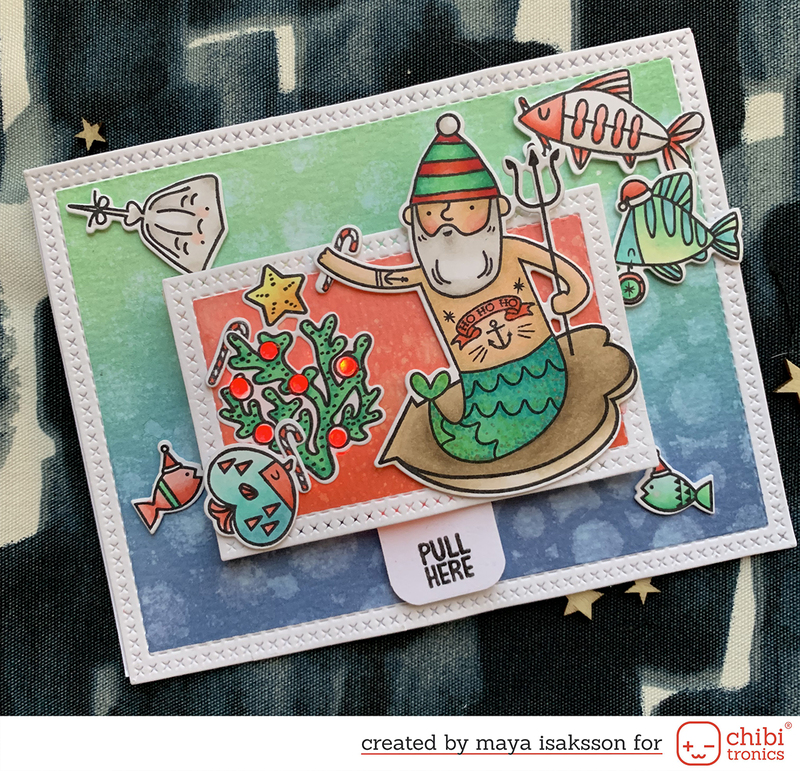 On this card I colored a piece of Vellum with the same watercolor pencils and made a shaker card out of it. I turned the colored side of the Vellum in so it won’t smudge and embossed a geeting. I used a sheet of shimmering cardstock as background, it’s very pretty! And again, that washi tape! Love it! On my thid card I used Gelatos to make a background. 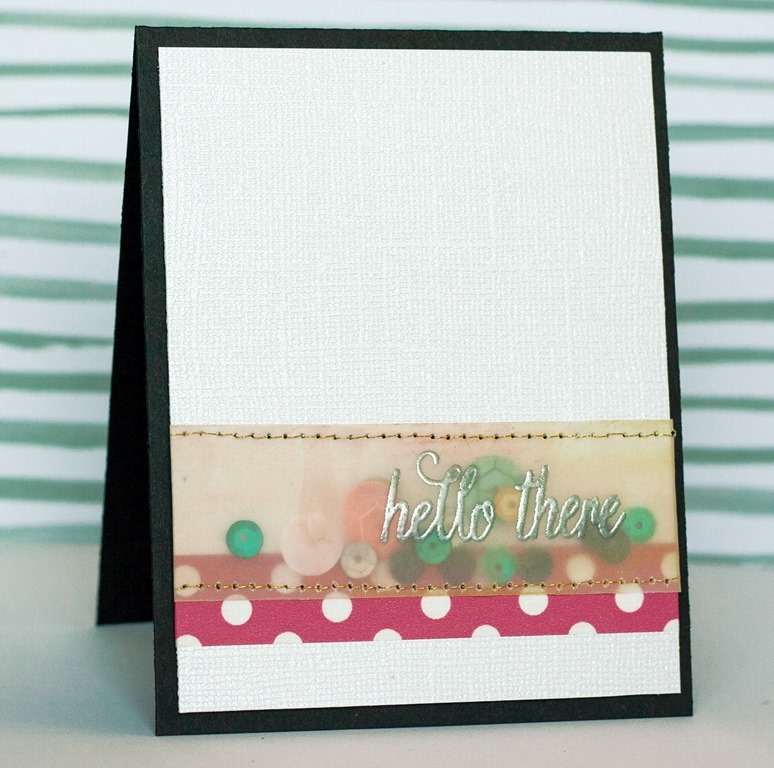 I stamped and embossed the hello in black and also made some shading with Distress Markers The Speech Bubble paper clips are from Finding Nana and I think they matched the hellos. A big thank you to Faber Castell Design Memory Craft and Finding Nana! I also wanted to remind you there is still time to create for the current challenge, the theme is Bokeh. There is a geat prize from our generous sponsor Simon Says Stamp.